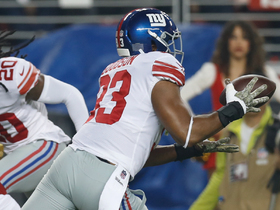 Goodson recorded nine tackles and a pass defensed across 46 defensive snaps in Sunday's loss to the Titans. 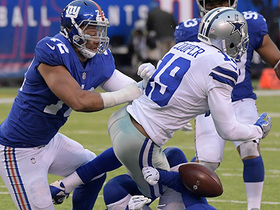 Analysis: Goodson's nine tackles were the most he's had in a single game so far this season, as the linebacker played in 66 percent of the defensive snaps Sunday. He now has 50 tackles (36 solo) on the season and will look to finish out the campaign on a high note over these next two weeks. Goodson (neck) is active for Sunday's game at Washington. Analysis: A limited practice participant throughout Week 13 prep, Goodson was ruled out on that week's final injury report. He maintained a similar level of activity this week, only to emerge with a "questionable" designation. With his availability confirmed, he'll look to rack up tackles against a Mark Sanchez-helmed offense. Goodson (neck) is questionable for Sunday's game at Washington, Art Stapleton of The Bergen Record reports. 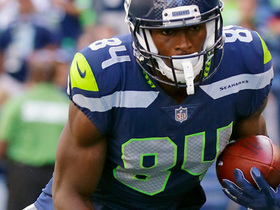 Analysis: Goodson was unable to play against the Bears last week, but he returned to practice this week and has a chance to play against the Redskins. 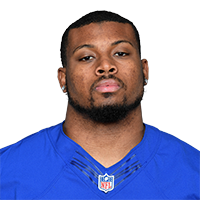 Tae Davis (ankle) is also questionable, which could leave Ukeme Eligwe with an increased role if either is unable to suit up Sunday. Goodson was ruled out for Sunday's game against the Bears with a neck injury, Art Stapleton of The Bergen Record reports. Analysis: Goodson was a limited practice participant Wednesday and Thursday but apparently didn't show enough Friday to warrant the questionable tag. 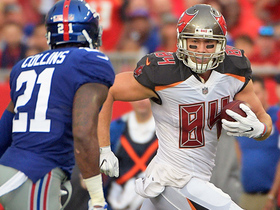 The 25-year-old is set to miss his first game of the season, as Tae Davis (ankle) and Nathan Stupar project to see increased snaps at inside linebacker. Goodson (shoulder) returned to Monday's game against the Giants, Dan Duggan of The Athletic reports. 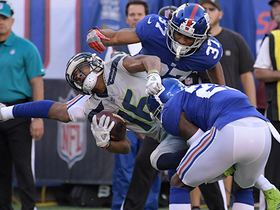 Analysis: Goodson briefly exited Monday's game due to what appeared to be a shoulder stinger. The third-year linebacker was examined in the medical tent and has been cleared to return to the field. Goodson exited Monday's game against the Giants due to a shoulder injury, Dan Duggan of The Athletic reports. 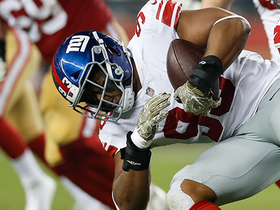 Analysis: Goodson appeared to suffer a shoulder stinger during the third quarter of Monday's tilt against the Giants and walked off the field. If Goodson is unable to return, expect Nathan Stupar to slot into the starting lineup. 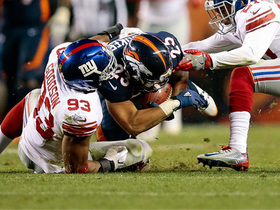 Denver Broncos quarterback Trevor Siemian throws to running back Devontae Booker for 23-yard gain against the New York Giants. 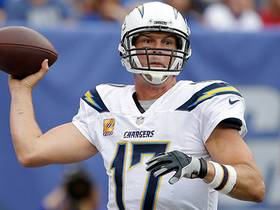 Los Angeles Chargers quarterback Philip Rivers hits wide receiver Keenan Allen under a tough pass rush. 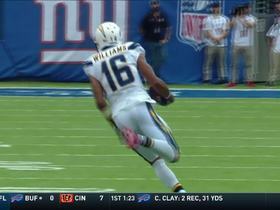 Los Angeles Chargers quarterback Philip Rivers hits wide receiver Tyrell Williams for a 22-yard catch. 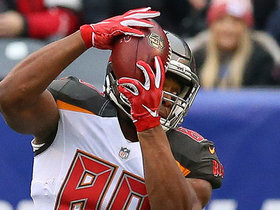 Tampa Bay Buccaneers quarterback Jameis Winston throws deep to tight end Cameron Brate for 35 yards.